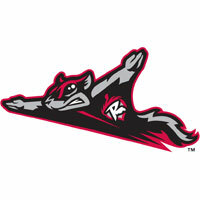 Lefty Ty Blach and centerfielder Elliott Blair keyed a, 1-0, win for the Richmond Flying Squirrels (78-63) over the Binghamton Mets (83-58) at The Diamond on Sunday afternoon. With the win, the Squirrels extended their franchise wins record to 78. Richmond now knows they will open the playoffs on Wednesday against the Akron RubberDucks at Canal Park in Akron, OH. Blach and Binghamton right-hander Gabriel Ynoa matched each other stride-for-stride through seven innings. Each turned in seven scoreless innings. Blach allowed just two hits, while Ynoa yielded three. Blach walked three and struck out three. Ynoa walked one and struck out six. Neither factored in the decision despite their respective gems. The Squirrels plated the only run of the ballgame in the eighth inning off of right-hander Jon Velasquez. Myles Schroder triggered the inning with a lead-off single. He then swiped second base. With two outs in the inning, Kelby Tomlinson walked and passed the baton to Blair. Blair busted out of an 0-for-23 skid with a game-winning single to center field. Velasquez (4-4) took the loss for the Binghamton. Right-hander Edwin Quirarte (11-7) worked a perfect eighth inning to earn his 11th win of the season. He will share the team-lead for the season with lefty Jack Snodgrass. Left-hander Steven Okert then finished the shutout and earned his fifth save with a scoreless ninth inning. It marked the 11th shutout as a staff for the Squirrels. The finale of the four-game series, which is also the final game of the regular season for both teams, is scheduled for 12:05 p.m. on Mondayafternoon at The Diamond. Richmond RHP Clayton Blackburn (4-6, 3.31). Binghamton has yet to name their game four starter. The Flying Squirrels Pregame Warmup will begin at 11:35 a.m. on Sports Radio 910 and SportsRadio910.com.